~ Samuel Taylor Coleridge, 1772-1834. Posted by Person from Porlock in September is Lovecraft Month! September is Lovecraft Month at Your Coleridge! As H. P. Lovecraft, while in retrospect perhaps one of the most influential English writer of the 20th century, remains largely unknown outside of what I am inclined to call modern Gothic fiction, I have decided to give you, dear readers/watchers/internautas a short introduction to his life and times. The connection to Coleridge, even though it might not seem all too apparent, lies in a number of similarities in the use, the paring, and the pacing of certain literary tropes. In fact, if my small endeavor with this blog ever pays off in some form, it would be in me writing that miraculous treatise dealing with the connection between Coleridge, Poe, Baudelaire, and Lovecraft. The same way that other, keener minds than myself have done so with Poe, Baudelaire and Eliot. But more on that, later. EDIT: I trust that the videos linked here are nor pirated, but fan films/part of the public domain. Don’t pirate, and don’t sue me. 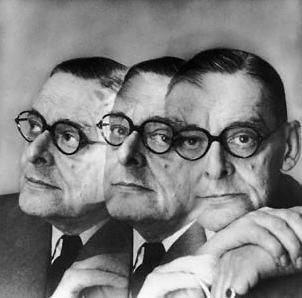 “Lines for an old man”, by T. S. Eliot. Is not more irritable than I. Or dangling from the friendly tree. And inaccessible by the young. Reflected from my golden eye. The dullard knows that he is mad. Tell me if I am not glad! Poe and Mozart – a few, yet powerful words. “The Apparition”, by Guy de Maupassant.